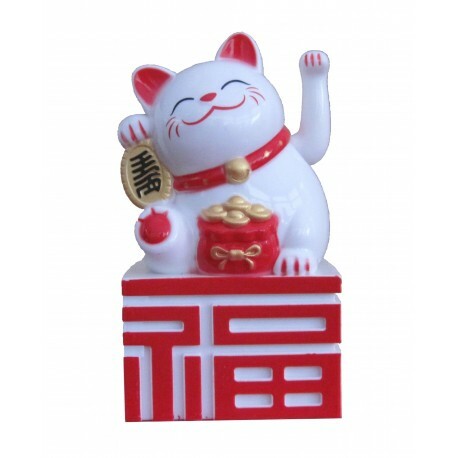 A battery operated White coloured Waving Fortune Cat sat on top of the word for 'Prosperity'. The left hand moves back and forth in a waving manner, drawing/ bringing in wealth for the home or business. 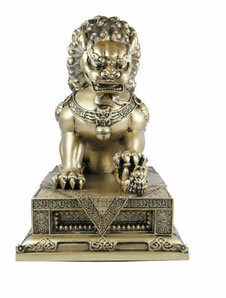 Size: H10cm x W5.5cm x D4.5cm.